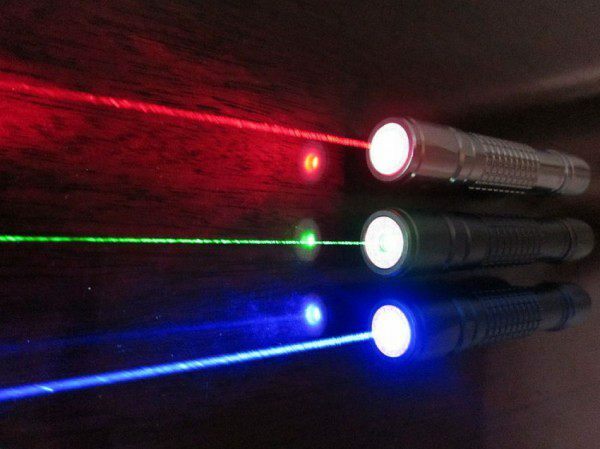 Long Lasting Thoughts: What is a laser? In this century the man has several tools that just about 100 or 150 years ago the majority of people could not have even imagined-or maybe just the great creative minds of fantastic stories. Many of these advances (if not all) have to do with energy and its infinite possibilities . In this sense, Albert Einstein and quantum theory marked undoubtedly a before and after. The laser, common today, also derived from these revolutionary discoveries. "Laser" is from the stimulated emission by Amplification of Radiation , or its translation into Spanish, "light amplification by stimulated emission of radiation." As is apparent, the laser originates from l uz that, through a semiconductor device, generates a new powerful light beam, coherent and controlled, whose waves are all alike, ie, have the same frequency and phase . When electricity is passed through the "coherent radiation" generates infrared radiation, that is, visible to the human eye. Another salient features is that the light beam emitted by a laser is not scattered, which is known as "directionality". In summary then, the device used concentrates light into a narrow beam, through which can be issued that focused beam consistently thin , very effectively. The laser is used in various and different fields , but is widely used in the area of health and industry, and also heavily on technology, for instance, the CD drives or optical fiber systems using laser technology. The laser beam is used in a growing number of instruments and for many different purposes, for example, thanks to laser have been able to detect the movements of the earth's crust, or measure the distance from the Earth to the Moon, among other advances Scientists at both the macro and micro levels. But in addition to the beneficial uses of lasers in communications and telephony, one of the uses that more progress has meaning also is in the field of medicine because it is possible to cut and simultaneously cauterize tissue without causing major damage (very Corrective surgery used in optics, for example) or bone drill has also enabled strong to various laboratory tests. Finally, we mention that it also has meant progress in the military, with new possibilities.